Schöneberg, oh Schöneberg. You are underestimated. Although you have so much to offer! The late and beloved David Bowie wasn’t the only one to notice your charm, but also numerous artists such as Iggy Pop and Klaus Kinski lived in your hemisphere. There’s something about you, something mature and unagitated but still exciting. Something that feels like home yet still comes up with surprises of the unknown. 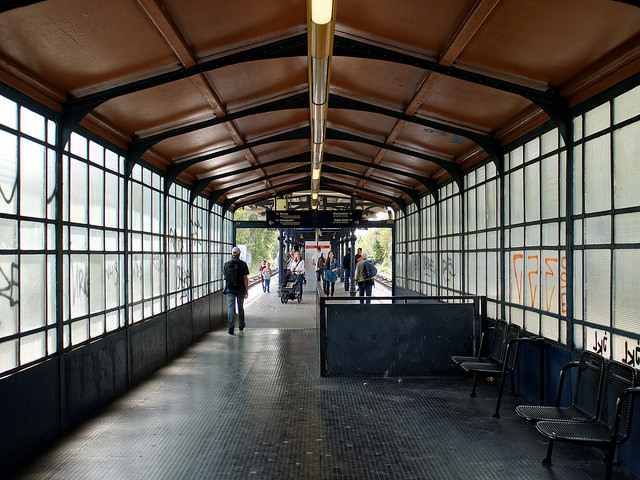 Founded as a tiny village and first documented in 1264 (that’s… a long time ago), Schöneberg was merged in 2001 with the adjacent district Tempelhof and is now called: Tempelhof-Schöneberg. We will focus on the Schöneberg-part of the district today, presenting you the best options to eat & drink, see some art, spend some leisure time in the most beautiful spots and learn something about the history of the ‘beautiful mountain’ aka Schöneberg. FYI: Even though the district is located at a quite elevated spot, the name ‘Schöneberg’ that includes the ‘mountain-theme’ is rather a wishful-thinking-name than a geographically correct one. But who cares, right? Let’s start with our guide to Schöneberg! Once you’ve sat down on one of the extra comfy chairs of Café Bilderbuch there’s a chance you might never want to get up again! Café Bilderbuch is one of my favorite cafés in my district and it has been a setting for many different life occasions. It is incredibly charming and cozy. The breakfast combinations are named after fairy tales and the ever-changing daily menu comes in form of a newspaper with many local news, concerning art and culture in Schöneberg. There are always different programs going on from readings to music, and in the back room you can read in one of the many books that are available at Akazienstraße 28, 10823 Berlin. Other great spots are Café Sorgenfrei at Goltzstraße 18, 10781 or Robbengatter at Grundwaldstraße 55, 10825 Berlin and especially and absolutely the café and chocolate shop Winterfeldt Schokoladen, that offers not only an overwhelming amount of cocoa art and chocolate but also a good breakfasts with ayurvedic spreads. Winterfeldt Schokoladen at Goltzstraße 23 / Ecke Pallasstraße, 10781 Berlin. When walking down the Akazienstraße and the area around Winterfeldtplatz you will ultimately come to Pallasstraße. 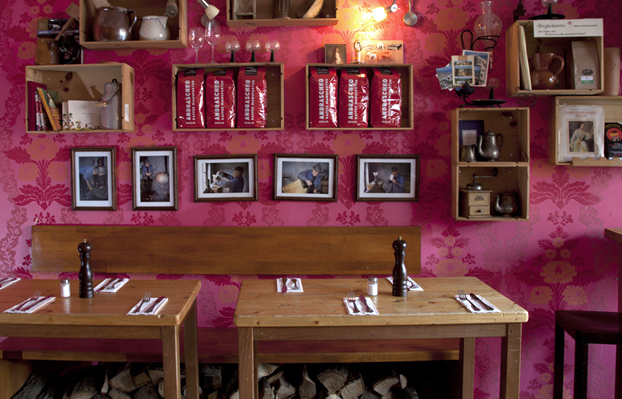 On the left, you will find a tiny, piggy-rosé-painted restaurant with a weird name: IXTHYS. Inside: Walls that are decorated with excerpts from the holy Bible. Menu’s paved with quotations of the Lord. The food: Korea’s best. Bibimbap straight from heaven. Won’t he do it! Now the name makes sense too. ‘Ixthys’ is the greek word for ‘fish’, the secret Christian acronym. 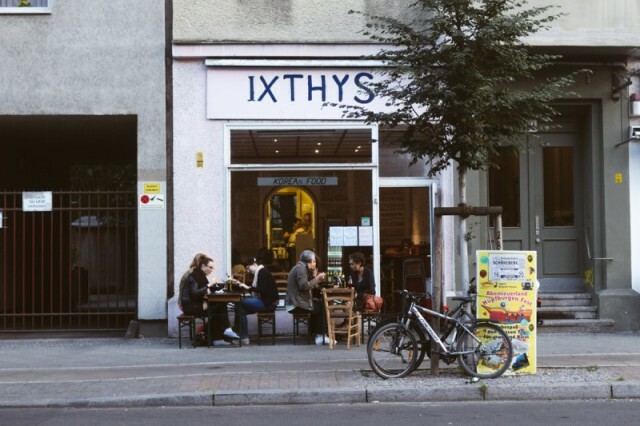 You might be re-born again after visiting IXTHYS at Pallasstraße 21, 10781 Berlin. If you care for some Indian food, Maharadscha at Fuggerstraße 21, 10777 Berlin or Yogi Haus at Belzigerstraße 42, 10823 Berlin. Or some good burritos at Berlin Burrito Company, at Pallasstraße 21, right next to Ixthys. 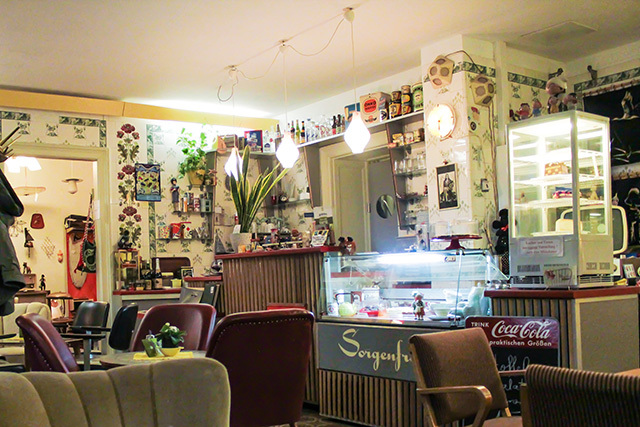 Schöneberg is loaded with cute cafés but one small coffee-shop stands out the most: Double Eye. The 2006 world champion barista Arno Schmeil delivers with Double Eye a coffee shop that has the best coffee not only in Schöneberg, but in town. Complementary cookies and other goodies are available as well. Double Eye, Akazienstraße 22, 10823 Berlin. Other great spots for coffee & cake are Café M, that turns into a great bar at night at Goltzstraße 33, 10781 Berlin, or Café Bittersüß at Crellestraße 2, 10827 Berlin, and the lovely P103 Mischkonzern at Potsdamer Str. 103 that is also a vegan and vegetarian restaurant. With an interieur worthy of an empress restaurant Sissi – Österreichisches Restaurant never ceases to impress. Their menu includes everything that is worth trying. From amazing Schnitzel to Goulash to ‘Spätzle’ – traditionial dishes in their best form. If you are in the mood for some austrian cuisine you should go to one of the best: Sissi – Restaurant at Motzstraße 34, 10777 Berlin. Some other great spots are cute little restaurant Vini e Salumi (Insider’s tip, hence no website) that offers a multitude of Italian goods at Akazienstraße 14, 10823 Berlin, or Persian restaurant Shayan at Goltzstraße 23, 10781 Berlin. Also we should not forget the wonderful Martha’s, that have made themselves a name with their international cuisine and chic interieur at Grunewaldstraße 81, 10823 Berlin. The rainbow flag right on top of the metro station of Nollendorfplatz proves it: The area around Nollendorfplatz is known as a center for the LGBT community. With its countless bars like the Heile Welt that has a dancefloor in the back at Motzstraße 5, 10777 Berlin or some meters away Tom’s Bar at Motzstraße 19, the Motzstraße is one of the most important streets of Schöneberg and serves as location for the annual ‘Motzstraßenfest‘, the gay-lesbian festival. The 23rd edition of the Motzstraßenfest will be July 16th and 17th and you should definitely visit. Other than that we recommend you the Greendoor bar, where – as the name insinuates – a green door awaits your ring. Let’s see if someone opens! 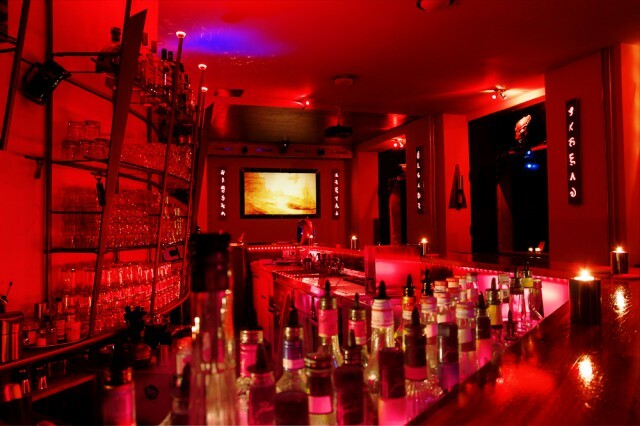 Inside, you will find amazing drinks, mixed in front of you by very capable cocktails artists. At Winterfeldstraße 50, 10781 Berlin. Other great spots are bars like Mutter, where you can eat amazing Thai food until late hours and match it with some good drinks at Hohenstaufenstaße 4, 10781 Berlin. Or Rote Beete Bar where you can enjoy a Rote Beete shot (beet root) in a sophisticated yet cozy atmosphere at Gleditschstraße 71, 10781 Berlin. The center for contemporary art in Schöneberg is certainly the Potsdamer Straße with countless small and big galleries dedicated to the art of the 21st century. We have even dedicated an entire guide to this special street right here. In our Schöneberg guide though we want to focus on a couple of different places. 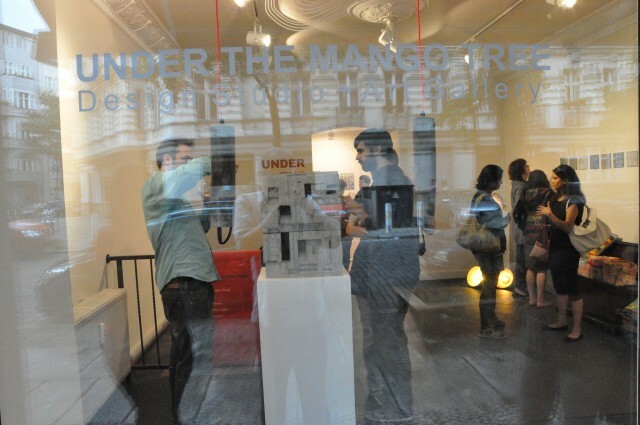 The versatile design studio, art gallery and progressive showcasing space Under The Mango Tree by Mini Kapur is a place, where art in all shapes and forms comes together. At Merseburger Straße 14, 10823 Berlin. The Haus am Kleistpark has a lot of history – and is about to write some more. Together with the UdK Berlin (University of Arts Berlin), they will open the exhibition PULSE., January 21st at 19h, where graduates of UdK will exhibit their works. The exhibition will then go from January 22nd to March 6th, Tu – Su 11h- 28h, free entry. 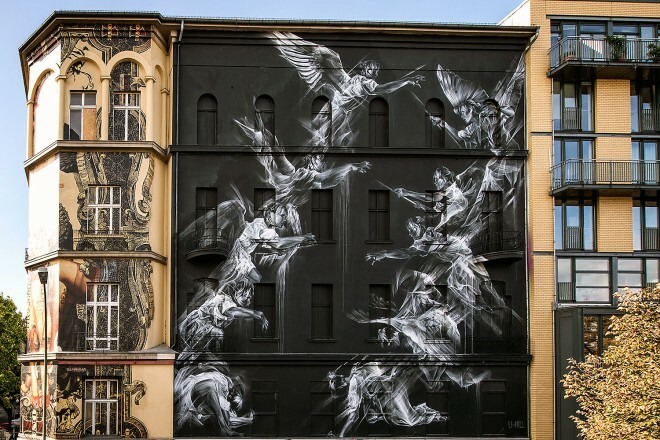 The platform Urban Nation connects Street Artists and Urban Contemporary Artists from all over the world. As a possibility for conversation and discourse between city, street art and inhabitants. 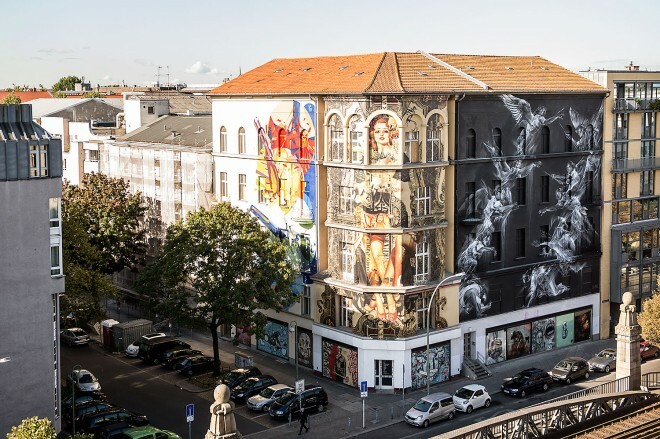 Situated in Bülowstraße, where a lot of their art took place, Urban Nation is all over the city. Literally. Their studio and workspace, where workshops and exhibitions happen, is in Schöneberg, at Bülowstraße 97, 10738 Berlin. Also, you can follow them on Instagram. This park used to be called “Stadtpark Schöneberg”, now wearing the name of first Lord mayor Rudolph Wilde. Its seven hectare big and as big as it is beautiful. 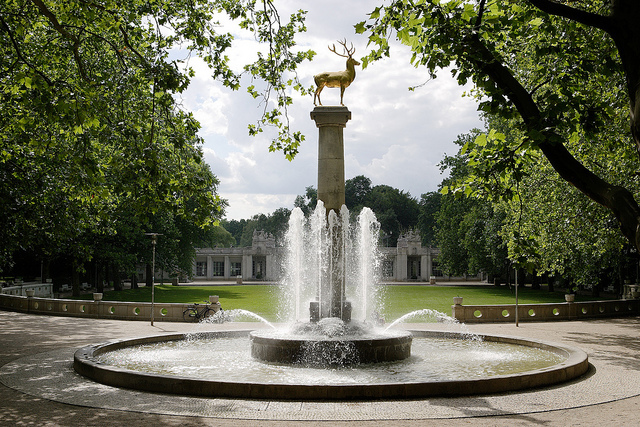 With the ancient monument of the Carl-Zuckermayer-Brücke, a golden deer and its many lawn areas the park is a tremendous area to chill, take a stroll or even do some sports (if you’re into that). The adress is Kufsteiner Straße, it’s good to reach by U4 station ‘Rathaus Schöneberg’. While we’re at it – you should go from the park directly to the flea market in front of the historical Rathaus Schöneberg. Saturdays and Sundays, from 8h to 16h, you can shop everything from clothes to porcellaine. 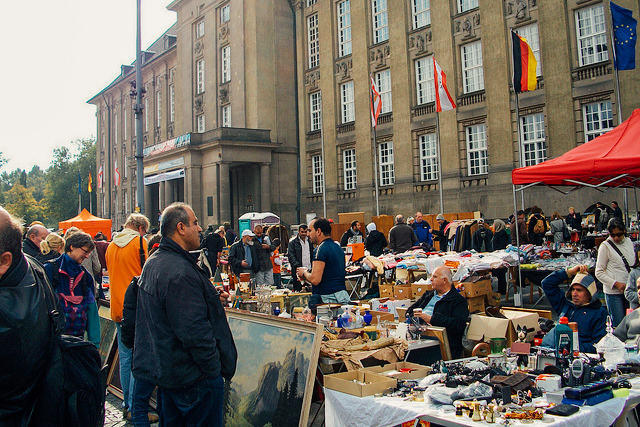 Situated in front of the beautiful town hall of Schöneberg, this flea market is worth a trip. The market theme is continuing! Only this time with food and delicacies. 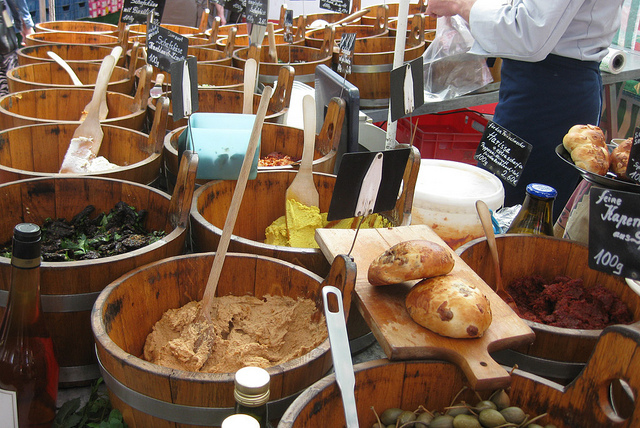 Farmer’s markets are big thing in Berlin (for example the weekly market at Maybachufer) and Schöneberg is no exception! The farmer’s market at Winterfeldtplatz is one of Berlin’s biggest and super nice. Open on wednesdays from 8h to 13 and on Saturdays from 8h to 15h. 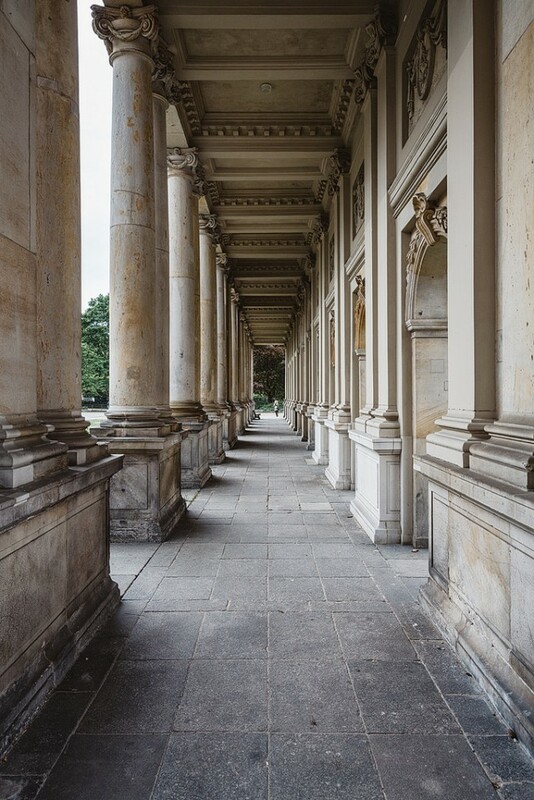 Not a huge park, but still beautiful to stroll around in, the Heinrich-von-Kleist-park located right at U7 station ‘Kleistpark’ has some nice ‘Königskollonaden’ from 1780, a work of classicism, that used to stand near Alexanderplatz but were located to Schöneberg. Between Potsdamer and Elßholzstraße. 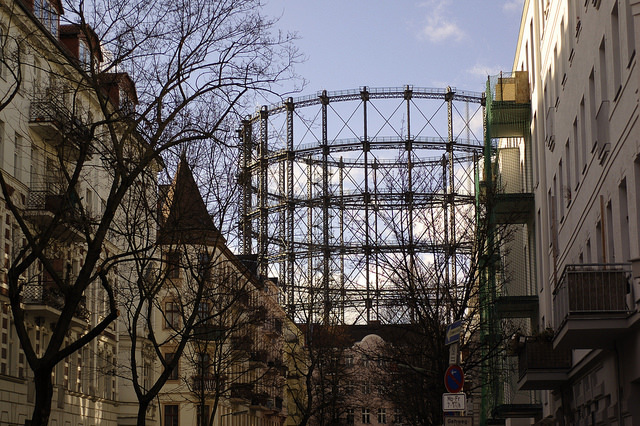 Surely, you’ve already seen the huge Gasometer. In 1995, the gas tank in the quarter ‘Rote Insel’ (red isle) was taken out of action. Nowadays, it serves as a monument, and up until 2015 as a TV studio for a German political Talkshow. You should check it out yourself! At EUREF Campus, House 17, you can get a guided tour. Check out everything here. 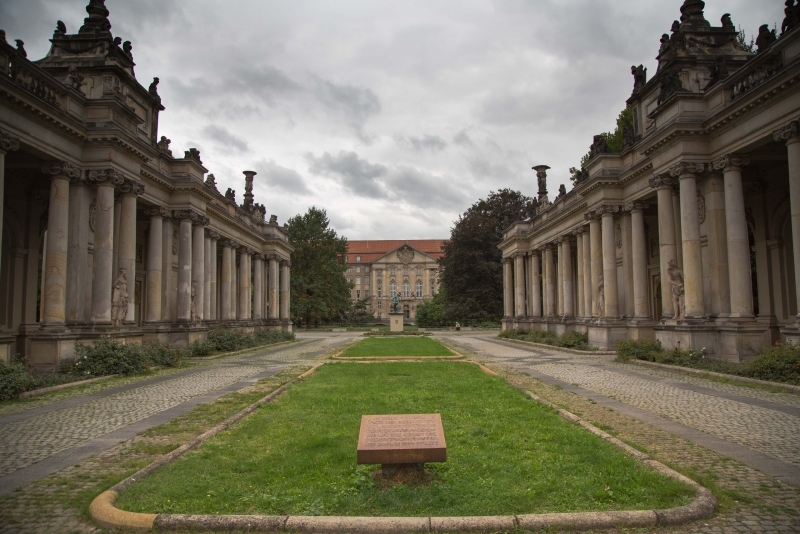 The Jugend Museum is a museum for younger people (or if you’re young at heart, come on) that, set in an imposing villa, has a lot to offer from exhibions to workshop-like happenings & where young people can experience history up close. If you happen to have a younger sibling, child or if you’re a child yourself it’s a) time to do some homework and b) the Jugend Museum is exactly right for you. Come visit the museum at Hauptstraße 40, 10827 Berlin. The Deutschlandradio Kultur (German radio culture) is broadcasting from the former RIAS-building (RIAS stands basically for Radio In the American Sector) where radio programs were broadcasted for West Germans. Founded after WWII by the US-Military-administration, RIAS had two radio programs and from 1988 to 1992 even a TV-program. Nowadays, Deutschlandradio Kultur airs its programs to the entire country. You should see it for yourself at Hans-Rosenthal-Platz, right at the park, 10825 Berlin. Naturally, there are many other spots and things and restaurants to look at in Schöneberg. If you have any favorites that are missing here, let us know in the comments below! You failed to mention that Schöneberg was basically the place to be in the 80’s. As in it was Mitte before Mitte, and as ‘cool’ as Xberg is now.